Beta 2 is out! 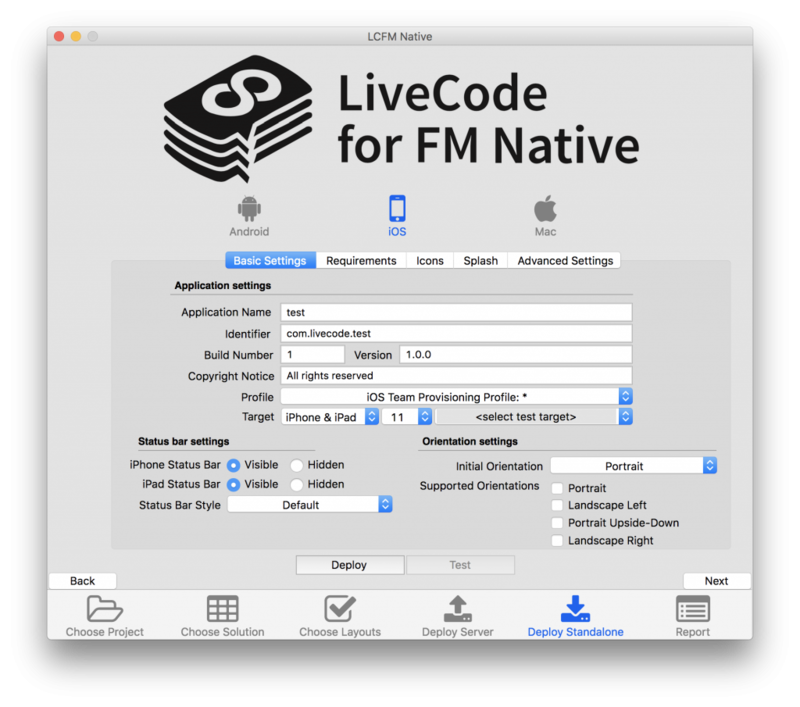 This new beta release of LCFM Native brings support for iOS deployment to the LCFM Native Compiler tool. Our team is hard at work on all aspects of the tool. In the near future, the beta will start using our revised compiler, parser and runtime, at which point you will start to see results when running multi-file projects. However in the meantime, only certain features are simultaneously applicable to the both the current beta and the revised components we are working with in-house. One such feature is iOS deployment, so since we have this largely complete we thought we would give you a chance to try it out while you wait. 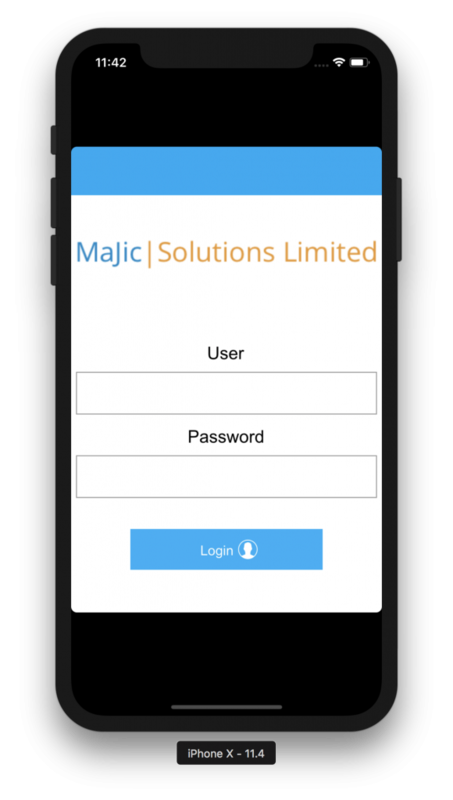 There are a large amount of settings available for iOS apps, which are controlled by the app’s plist file. All such settings are reflected in the LCFM Native UI, although at this stage it is not necessary to fill many of them in to produce a working demo. Most options other than the Basic Settings apply to apps which are to be uploaded to the App Store. 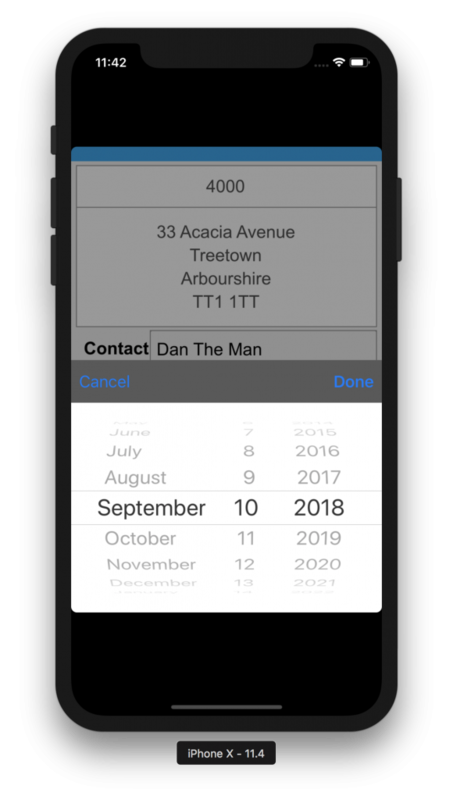 More detailed information on iOS settings is available in the User Guide for the LCFM Native tool. In the Profile menu, choose your provisioning profile, which will be used to codesign the app. 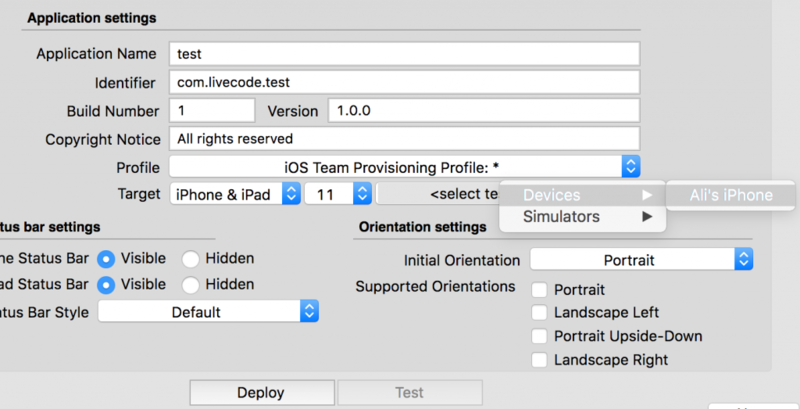 Once your profile is chosen, you can either deploy a standalone and use Xcode to upload to your device, or set the test target and deploy to a connected device or simulator. If you are not a member of the beta program you can sign up here by purchasing the LCFM Native tool.